Custom branding irons and accessories for branding wood, leather, plastic, rubber, food, soap, wax and other products. Cast or engraved bronze branding heads for long life. 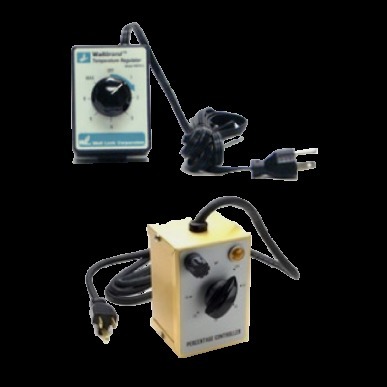 Varieties range from a 30-watt hobby-grade unit with a 3/4 inch x 3/4 inch logo image and up – depending on the model, branding head and accessories required. Please contact us for a quotation. 30 Watts. 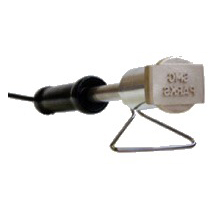 120 VAC hand held units for branding in a non-assembly line environment. 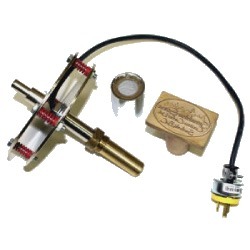 This simple to use unit is similar to a soldering iron but will be fitted with a changeable 3/4″ x 3/4″ maximum head which can have up to one line of (4) 3/16″ upper case characters or your custom design or logo. 125 to 1000 Watts. 120 or 220 VAC hand held units. 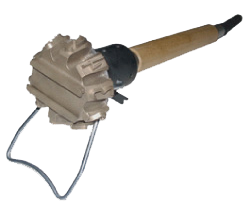 These units can be manufactured in various wattages and head sizes. All heads are removable with minimum 3/16″ high upper case text or your custom design or logo. Slot heads are also available for use with font sets below. 200 to 1000 Watts. 120 or 220 VAC drill press mount units are designed for branding in a repetitive production line environment. This model is a must if your branding requirement is repetitive or requires a specialized application. These units can be manufactured in various wattages and head sizes. All heads are removable with minimum 3/16″ high upper case text or your custom design or logo. Slot heads are also available for use with font sets below. A rugged, industrial-grade brander for heavy-duty, gas-heated branding. This system is ideally suited for mobility when working outside the shop or in remote sites. The unit offers the ability to quickly interchange branding heads. Comes with a (3m) 10 foot long hose for connecting to your propane tank. Ideal for pallets and crates. The perfect choice for IPPC pallet markings. Single and dual burner units available. The United Nations through the International Plant Protection Convention (IPPC) created a voluntary global standard in March, 2002 (ISPM 15). It applies only to wood packaging materials (both coniferous and non-coniferous) made with solid wood, not engineered wood products (plywood, OSB, etc. ), or corrugated when used in international trade. Features (25.4mm-) 1-inch numbers, zero through nine, plus the capacity on the end for three, one-inch interchangeable characters (sold separately). 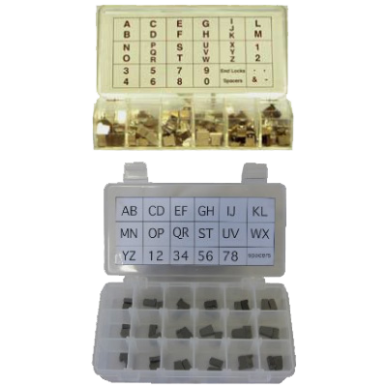 The option of interchangeable characters in this convenient tool allows quick branding of alphanumeric characters that remain constant for many applications of the brand. This brander is a heavy-duty, robust branding tool available in 120 or 220 volt configurations. 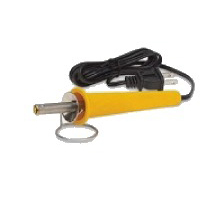 For use with the above 120 VAC, 400-watt maximum electric units only. 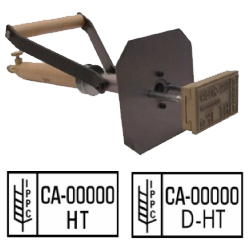 These temperature regulators allow for effective heat control, giving you more flexibility in using the branding iron. By adjusting the iron’s temperature, a more uniform brand is possible. (3.175mm) 1/8″ to (50.8mm) 2″ high characters. When messages require frequent changing, having a font of letters available at the worksite provides complete, time-saving flexibility. Messages can be easily removed and replaced in a matter of minutes. Packed in a compartmentalized storage box. Requires a branding unit with the corresponding character height slotted head.